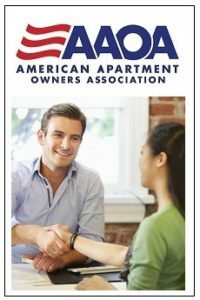 After years of hearing landlords complain about losing money from lost rent, damages, evictions, and legal fees, AAOA introduced LeaseGuarantee to provide coverage for these common worst case scenarios. As of last month a LeaseGuarantee Analyzer is included in every tenant screening package to determine whether your tenant qualifies for LeaseGuarantee protection. If they qualify you can get coverage ranging from $2,500 to $10,000 for as low as $299 annually. You might be wondering how this could help or affect your security deposit policy. Here are three ways landlords are using LeaseGuarantee to improve their security deposit. You might be thinking “Reduce the security deposit? Are you crazy? !”… Well with LeaseGuarantee it’s definitely not crazy – you’ll get more protection than a security deposit alone and your tenant will have lower move-in costs. Here’s why this matters. For many tenants coming up with a security deposit can be out of reach or may leave them stretched thin. Also, a security deposit may not be enough to cover the cost of damages or lost rent later. For example, if rent is $1,000/mo and the tenant provides you with a $2,000 security deposit and later your lost rent or damages total $4,000, you will likely be paying out of pocket for the difference. So how can you increase the protection you’re getting without increasing the security deposit? You can reduce the required security deposit and have your applicant purchase LeaseGuarantee for a low annual fee. For only $299/yr you would get $2,500 of coverage plus whatever security deposit you collect. It’s a win-win for you and the tenant. You probably have a set of requirements for applicants interested in your rental, such as a certain credit score or rent to income ratio. If the applicant doesn’t meet those requirements you might automatically decline them or ask for additional requirements like a cosigner, higher rent, or more security deposit. The problem with declining a tenant is that your vacancy will be extended and the applicant is left looking for a place – this is a lose-lose situation. It’s also likely that some of your additional requirements might be out of reach for your applicant and none of these requirements will get you that much coverage. By using LeaseGuarantee instead you can get up to $10,000 annual coverage that either you or your tenant can purchase for a low cost. This means substantially more coverage for you and a home for the tenant. On average a security deposit is usually $5,000 or less. LeaseGuarantee has coverage options of $7,500 and $10,000 starting at $897/yr. Although LeaseGuarantee doesn’t get refunded to the tenant at the end of the lease as a security deposit would, the tenant may prefer to pay only $897 upfront instead of a big security deposit to lower their move-in costs. This would make a move much more comfortable for them and you would get much greater protection.